Nutrition and eating can be a huge issue for a senior in the later stages of Alzheimer’s disease. In order to help her to continue eating, you may need to try a variety of different tips and tricks. The big goal is to make eating as pleasurable as possible for your senior. For some people with Alzheimer’s disease, the environment can make a huge difference when eating. If there are loud sounds or distracting sights, she might not do what she’s there to do. Keep the area where she’ll be eating quiet and reduce distractions as much as you can. You might feel as if your elderly family member has no concept of time any longer, but that’s not necessarily true. She does have a body rhythm and when mealtimes are inconsistent, they’ll be confusing for your family member. Try to keep meals around the same times as much as possible to reduce that confusion. If the food isn’t easily visible, that’s something else that can be confusing for your senior. Use plates that contrast with the food as often as you can. Plates that are bright in color can also stand out against the food. Use contrasts to your favor as much as possible. Too much food on the plate can be overwhelming visually for your family member, too. One way to get around this is to put just one type of food on the plate at a time. Smaller serving sizes can also help, which allows you to put different types of food on the plate when she’s had enough of one type. Make sure that you check your family member’s dentures, teeth, and mouth regularly for issues. She may not be able to verbalize to you that she’s experiencing pain or other problems. What you’re most likely to see is that she suddenly refuses to eat or stops chewing her food properly. When you look deeper, that’s when you are likely to find that there are other issues that need to be addressed. 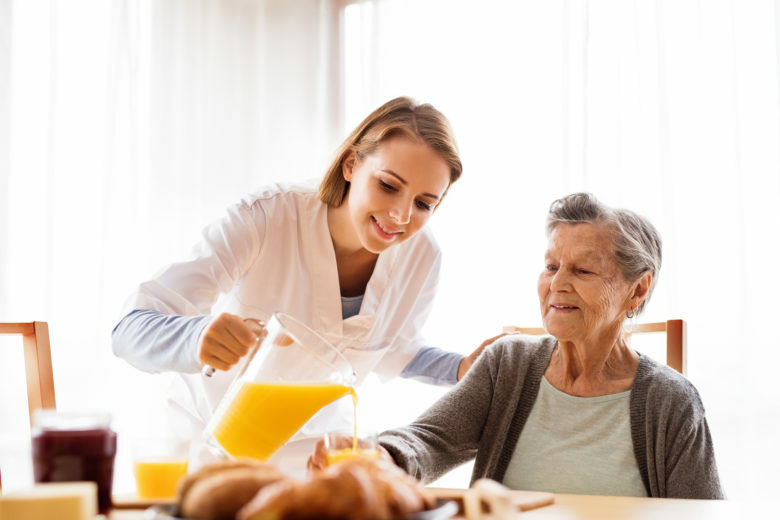 If your family member is still having trouble with eating or is avoiding eating, hospice care providers can help you to troubleshoot what is happening. They can also help you to learn ways to accommodate your family member’s needs around eating in a way that gets nutrients into her body without upsetting her. If you or a loved-one are considering hospice care in Atlanta, GA, please call the caring staff at Arcturus Hospice and Palliative Care today. Call 678-383-9973 today to speak to our care team.